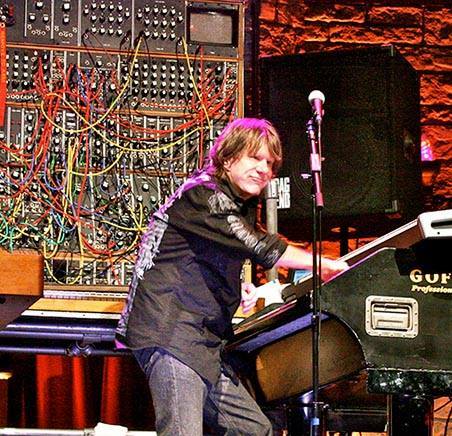 Emerson, Lake And Palmer keyboardist Keith Emerson died Thursday at the age of 71. Billboard reports Santa Monica Police are investigating the death as a possible a suicide, as they confirm that Emerson suffered a single gunshot wound to the head. "I am deeply saddened to learn of the passing of my good friend and brother-in-music, Keith Emerson," former bandmate Carl Palmer wrote on his Facebook page. “Keith was a gentle soul whose love for music and passion for his performance as a keyboard player will remain unmatched for many years to come. He was a pioneer and an innovator whose musical genius touched all of us in the worlds of rock, classical and jazz. Emerson first came to prominence as a member of the pioneering 60s progressive outfit The Nice, before forming ELP with former Crazy World Of Arthur Brown and Atomic Rooster drummer Palmer and ex-King Crimson bassist/vocalist Greg Lake in London in 1970. The supergroup’s performance at 1970’s Isle Of Wight festival secured them a record deal with Atlantic Records, and they issued their self-titled debut album in November of that year. After ELP disbanded in 1979, Emerson and Lake formed Emerson, Lake & Powell with former Rainbow drummer Cozy Powell in 1985 and released a self-titled project in 1986. ELP regrouped in 1991 to tour and released a pair of albums – 1992’s “Black Moon” and 1994’s “In The Hot Seat” – before shutting things down for a second time in 1998. A supergroup of Emerson, Yes members Chris Squire and Alan White, and Bad Company’s Simon Kirke were one of the openers for the Led Zeppelin reunion/Ahmet Ertegun tribute concert at the O2 Arena in London in December 2007.